I know most of you out there love coffee. It’s your morning ritual to drink their coffee to start the day and [I know] some people can’t “function” until they have their cup of joe in the morning. If you haven’t read my first blog post here, coffee is also a great beverage as a pre-workout supplement. 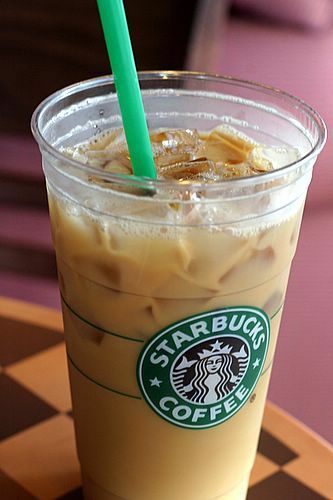 If you cringe every time you shell out five dollars or more for your coffee (iced or cold), I have great news for you! 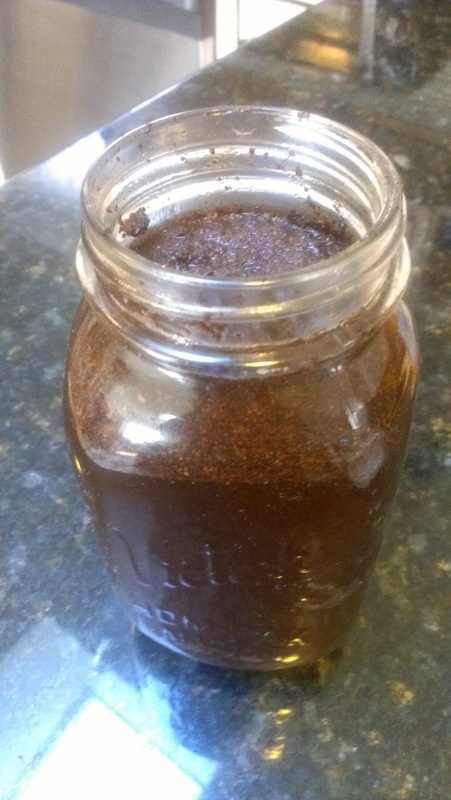 I’ll show you how to make homemade coffee concentrate which can be used to make whatever you wish. Note: This is not making coffee in the coffee machine, which is a totally different process. 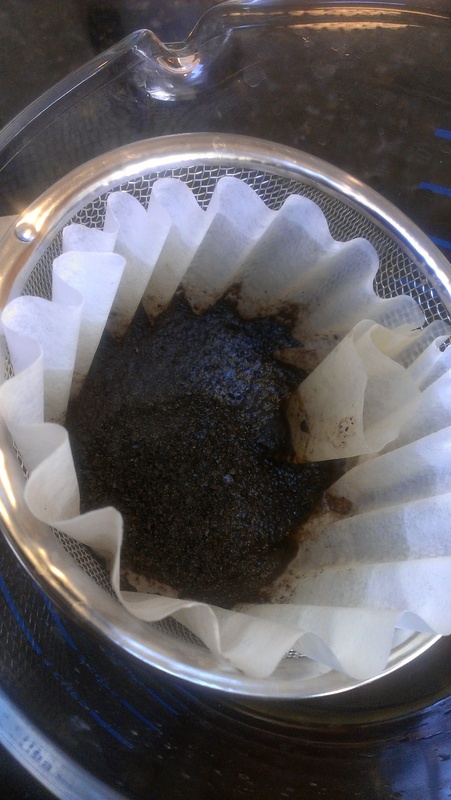 Now, the great benefits of making your own coffee concentrate. Add the coffee to your container of choice. You DON’T need a lot of coffee; it’s going to be strong in the end. 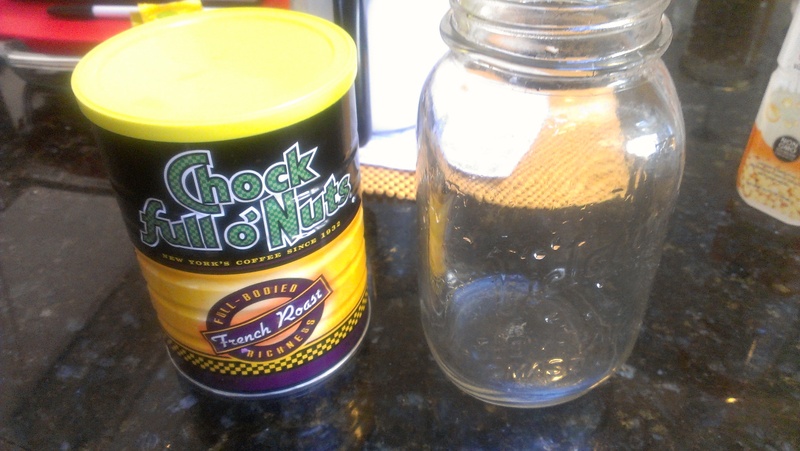 For the size of my mason jar, I used above five (5) spoonfuls. It all depends on the size of your container. 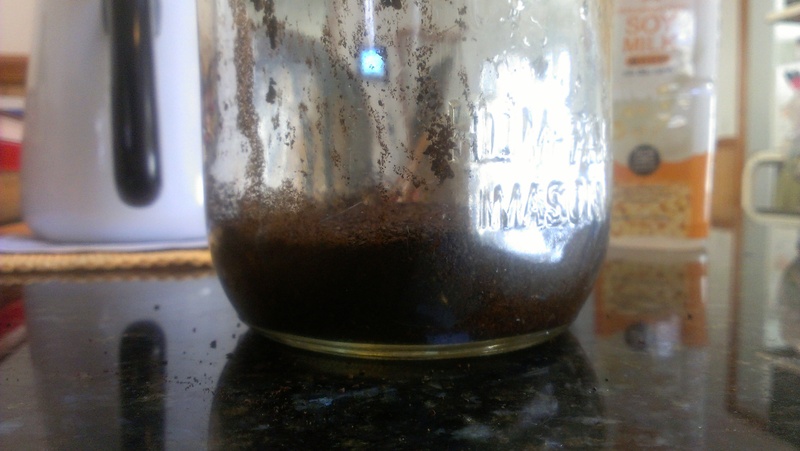 Take a chopstick or coffee stirrer and stir the coffee grounds until the grounds are all wet and the mixture turns a nice brown coffee color. Be sure not to shake or over-stir the coffee. Sorry James Bond, but I prefer stirred, not shaken. The results should look like below. Once you’re done stirring it, time to wrap it up. Literally with saran wrap, not figuratively of course. We’re only halfway there! 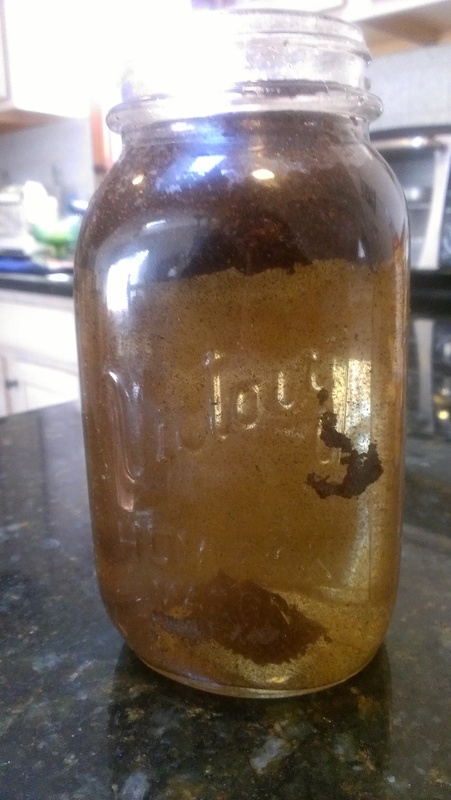 Leave this bad boy to steep on your kitchen table at room temperature. Now I highly suggest to at least leave it out for at least eight (8) hours, but I have left it out for one to two (1-2) days and just like fine wine, get’s better with age. Careful though! Don’t leave it out for too long. I’d say two to three (2-3) days max. Tick-tock, tick-tock. Ok, so you’ve now waited whatever time you chose, time to reap the rewards. Take off the wrap and take in the smell of that awesome goodness. Smells great right? Just like you walked into your favorite coffee shop, but your still in the comforts of your home. Time to start finishing the product. Start filtering out that black gold. Make sure not to get any particles in your final product. You don’t want to drink any of this stuff! Your all done! 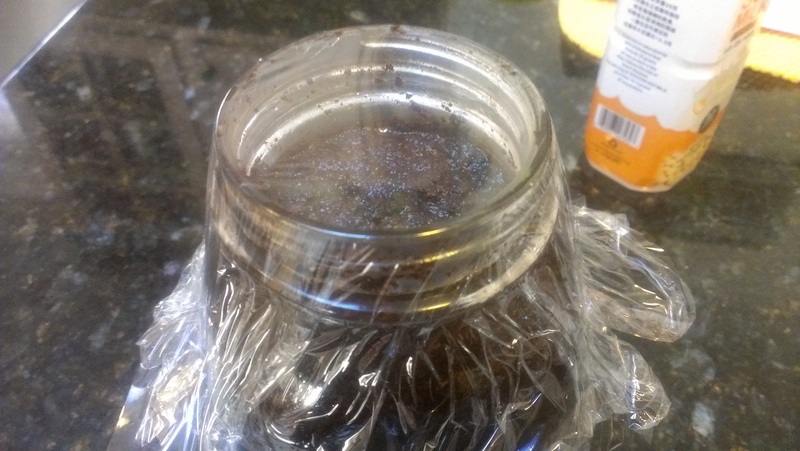 You’ve made yourself some yummy coffee concentrate. Pretty simple right? You can store this in the fridge for about a week, but it shouldn’t last that long because you’ll down this goodness in a heartbeat. Now, this part is really important. YOU CAN NOT DRINK THIS STUFF STRAIGHT. It’s coffee concentrate, meaning there’s a poopload of caffeine in there. You have to water this stuff down before you drink. 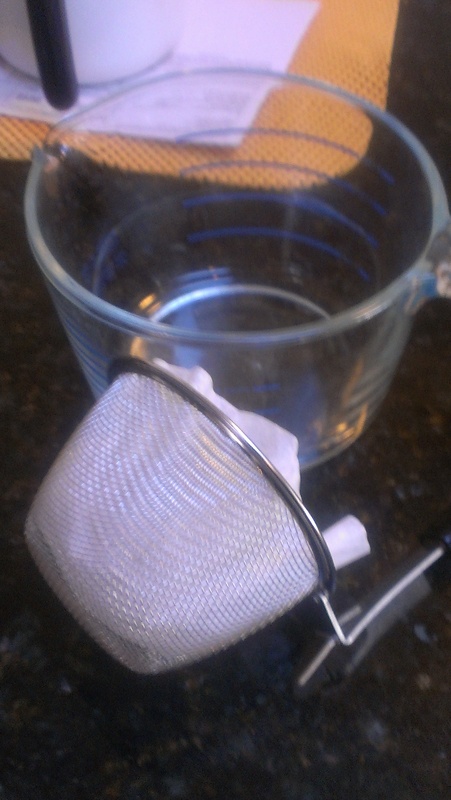 A good rule of thumb I use is to mix to a one-to-one ratio, coffee to water. For one serving, I do four (4 )oz of water to four (4) oz of coffee concentrate. This is a good place to start. If you like it stronger or weaker, tweak it to your tastes. Now that you have the strength you want it at, add whatever you want to it. You’re favorite creamer, milk, sugar, etc. Or you can heat it up and enjoy an even better tasting hot coffee. If you’re daring, try adding your favorite protein powder into the mix (only use cold, not hot). I got this idea from Eric Cressey‘s blog article and tried it today. It doesn’t taste half bad. Kudos Eric! 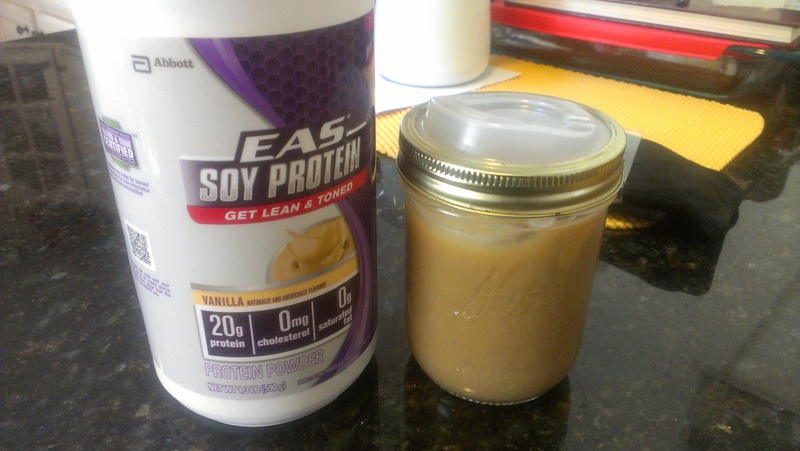 I used some EAS Vanilla Soy Protein which can be found here and of course, I drink it in my cool mason jar. If you’re wondering what’s that on top of the mason jar, it’s a Cuppow Lid which turns your ordinary mason jar into a sippy cup (those things you had when you were a little kid, except it’s not spill proof.) You can get them here. 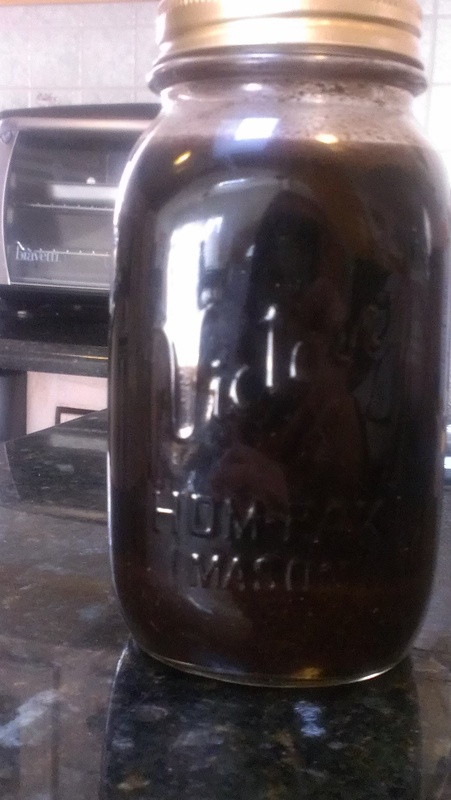 And some mason jars here if you don’t have any. Well, that’s it. What do you think? Leave your questions, comments or concerns in the form below. Bench pressing getting boring? Try this out to mix it up. Crossfit: Good, bad or just a fad?